I was knowing that beautiful of fall colour at Central Park NYC , so it was listed one of the place must visit during our trip. We visited this park on the 2nd day of arrival as we have checked weather was good on that day. We just walked about 5mins to this park since the hotel just located nearby. Every corner of this park was so beautiful and awesome. So I just let these pictures that I took to speak for me. Last month, I got this opportunity to tag along with my husband to Chicago US who was on a business trip. 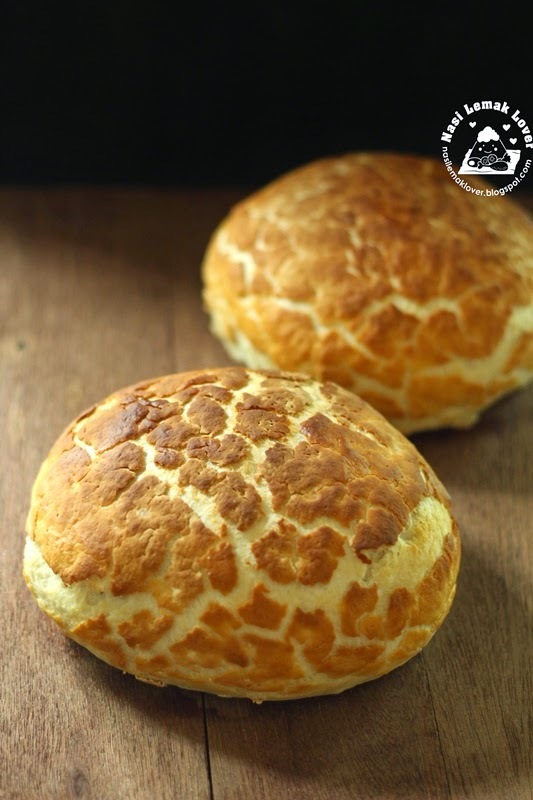 I have been trying making this tiger bread for few months ago. But I couldn't achieve the nice crack effect, and almost wanted to drop the idea of making this bread. 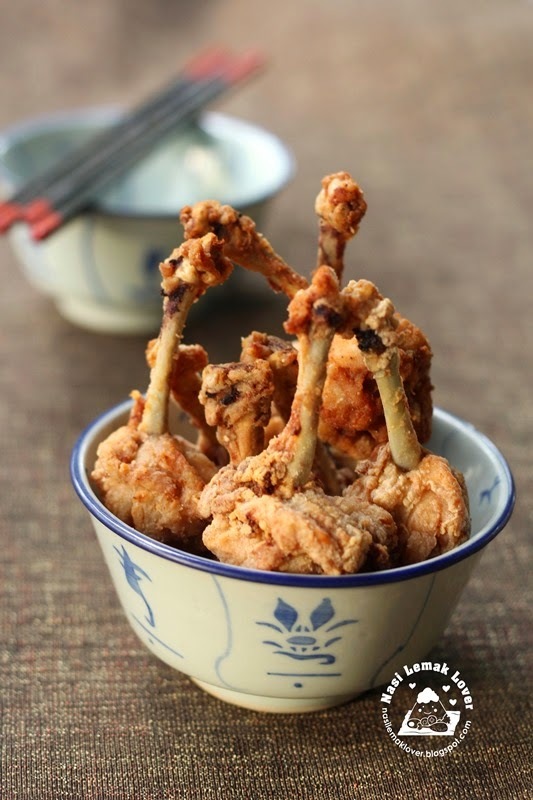 Until recently I found a cookbook that has this recipe, immediately try it out and great to see the nice effect. While I transited at CDG airport Paris when returned from US trip. I spotted a French cookbook in English, so happy and quickly bought this cookbook. 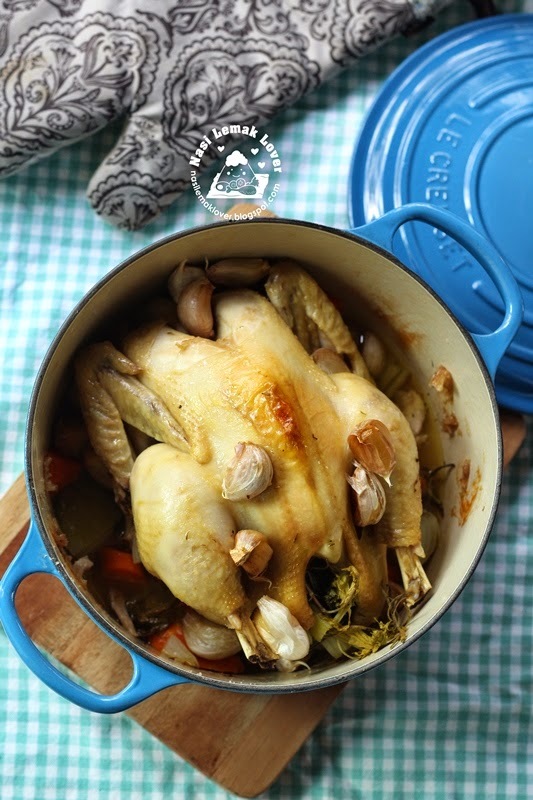 The first recipe immediately I try out is this Chicken with 40 cloves of garlic, perfect to cook in a lazy Sunday dinner. Sandwich is the most common breakfast during our trip to Chicago and New York. Their sandwich usually use baguette, English muffin or bagels and stuffed with ham, egg, cheese and etc. 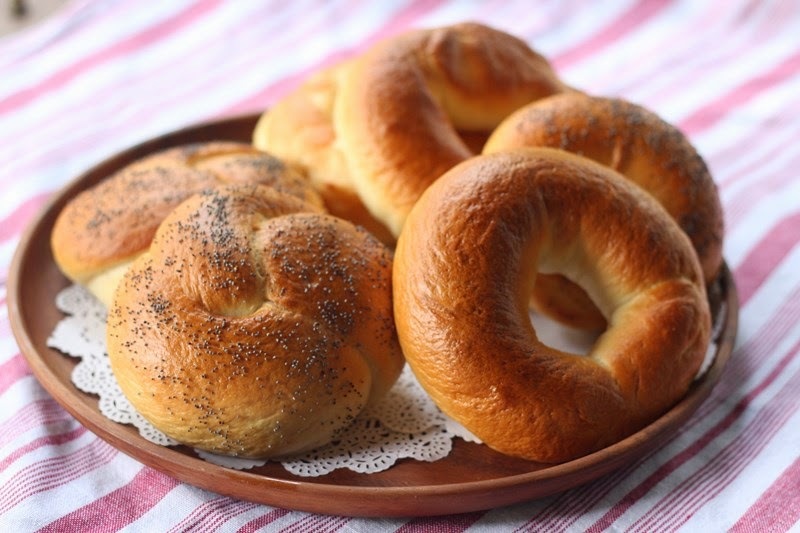 This is not the first time I made bagel, the first bagel I made was added with potato. This time I tried a new recipe and just made plain type of bagel. I didn't know this popular Whole tomato rice until I read an article that published in a Chinese newspaper recently. Soon I returned from US trip, I immediately cooked this tomato rice since I was still recovering from jet lag, so this easy recipe just come in perfect timing. 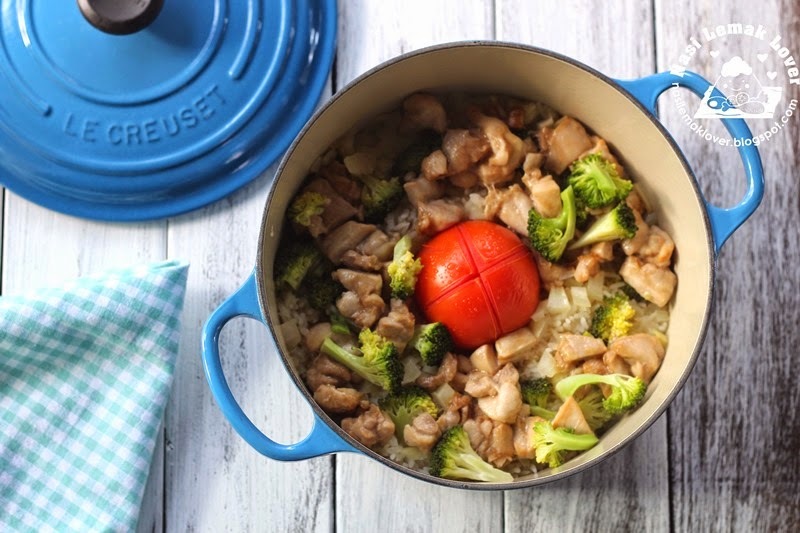 At the same time, I can also try out the new Le Creuset round French oven that I brought back from NYC.